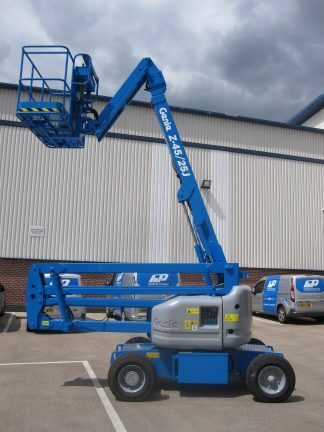 Hire diesel articulated boom from Cherry Picker. Ideal for outdoor use and it comes in both two and four wheel drive. 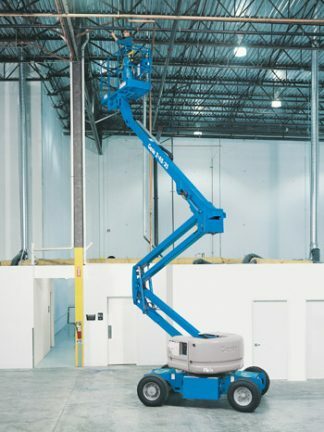 These aerial platforms are well suited for work on construction sites, factories and warehouses where an MEWP is required to be lifted up, out and then over boundaries. 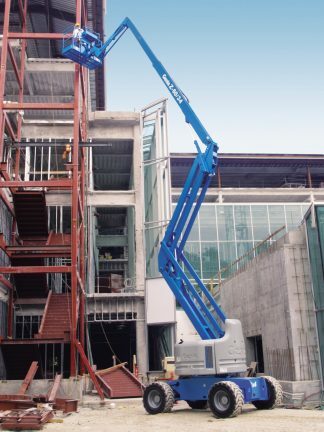 These are particularly popular cherry pickers for steel erectors. Jib boom models are also available to provide extra working range. 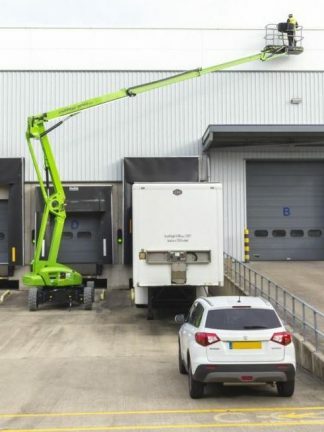 Ideal for outdoor construction and industrial applications and provide lifting versatility with a combination of up, out and over positioning capabilities and outreach that’s second to none. They also offer high ground clearance. 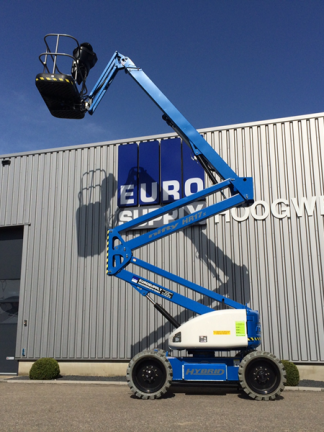 Here, at Cherry Picker, we have over 20 years experience supplying stackers to the Irish market, in Dublin and the surrounding counties. So, call us on 1890 228 229 or 01 835 4788 and let our experts help you choose the right access platform to meet your needs. We can guide you in the right direction.